Generic riser block kit re-machined to fit the Delta 14" bandsaw with a 15/16" round upper guide post. Installation instructions in the picture section of this listing. Cross references and interchanges with Delta model 28-284 riser block kit. 15/16 Diameter Guide Post now reversible for either flat or radius end locking screws. Color may vary from picture, it varies depending on what my supplier sends me. 15/16 guide post has a flat milled on one side and a round groove on the other for both types of height adjusting screws, (flat or round end), to bear on and to align the upper guide bracket. This kit increases your resaw capacity from 6" to 12" resaw height. Requires 105" long blades, (one 3/8" included). 7/8" round bottom portion fits in the 7/8" round or 7/8'' hexagon upper guide casting. Check out the installation video at You Tube "How to install a riser block on an older Delta bandsaw ". Installation instructions are included in the picture section of this listing. Installation requires; An assistant, 15/16" wrench, 1-1/16" wrench. Rubber, lead or plastic mallet is useful. See my other listings for the kit with hex post for saws with hex guide post hole in upper arm or for 1 round hole in arm. Includes: -Cast iron riser block with Delta pattern dowel pins machined and inserted -Longer 15/16" round post for guide -Longer bolt -Extended front blade guard -Extended column blade guard -105" X 3/8X 6 tpi blade -Instructions are in photo section of this listing. Fits Delta model 28-276 , 28-280 and all others with a 15/16 or 24mm post. Note: Model 28-475X may require use of of exsisting lower guard and minor drilling of included extention. MEASURE YOUR EXISTING POST BEFORE ORDERING! Part # 50 in drawing listed with pictures. SOME USED 15/16" or 24mm and some 1" round or 7/8 hex. See my listing; # 111143299381 for the 7/8 hex guide post riser kit. Or # 151086232442 for the 1 round guide post kit. Expandable guide side guard may require filing to fit your particular model or if you mark any areas that interfere and return it I will machine it at no charge. ", " Exactly as described, perfect condition on arrival! , Thanks for an accurate description of the product, Everything as described. Product is as described, Quick service, received in good condition, Fit my Delta 28-245, Worked great. Big difference in my band saw now, Good job went together good, As described, Delivered as advertised. If fit perfectly and works like a dream. Make sure to read desc. Everything works wel, Just as advertised. 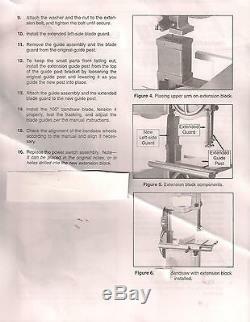 See my other listings for Delta bandsaw parts. Top side guide bracket item: 150964738129. Wheel bearings and guides: 150654192974. 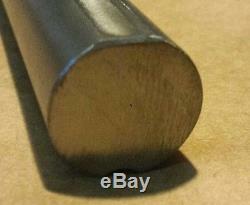 Delta Rockwell 14 Bandsaw table taper pin Delta part # LBS-55 Item 150916012600. 14 Delta Rockwell Jet Grizzly Bandsaw Tire 426010940001 item: 110991699776. 14 Urethane Delta Rockwell Jet Grizzly Bandsaw Tire item: 150967827083. Delta or import 14 bandsaw rear trunnion 426-02-0-950-002S or LBS-60 Item: 150974016667. 1370 THE Thickest Tire Heavy Duty 426010940001 ITEM. Delta or import 14 bandsaw Front trunnion 426 023 950 005 or LBS-60-s w/scale Item:150974039522. Rebuild kit for Delta and other 14 Bandsaw ITEM: 150796168565. Delta 14 Bandsaw Upper wheel Shaft & Hinge assembly. 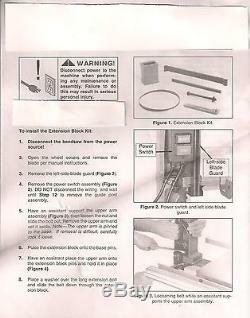 Riser Block kit for Delta 14 Bandsaw with hex post interchanges with Delta 894 ITEM. The item "Riser Block Height attachment Delta 14 Bandsaw with15/16 round post Delta 894" is in sale since Sunday, October 20, 2013. This item is in the category "Business & Industrial\CNC, Metalworking & Manufacturing\Woodworking Tools & Supplies\Equipment & Machinery\Lathes". The seller is "wmprice" and is located in Oxford, Pennsylvania.